Like a proud parent, we are thrilled to announce that we have set up a new office in Malaysia. Unlike a proud parent, we won’t bore you with details that do not matter. With a physical Hoiio office in Malaysia, you get the benefit of proximity. Our salespersons on the ground will be better positioned to assist you in any way possible. Be it a product query, request for customer support or business development matters, geographical distance will no longer be an issue. Last year we announced the launch of 015 Malaysian VoIP numbers. Now we are introducing new 03 (KL) and 032 (central KL) numbers to our number basket. 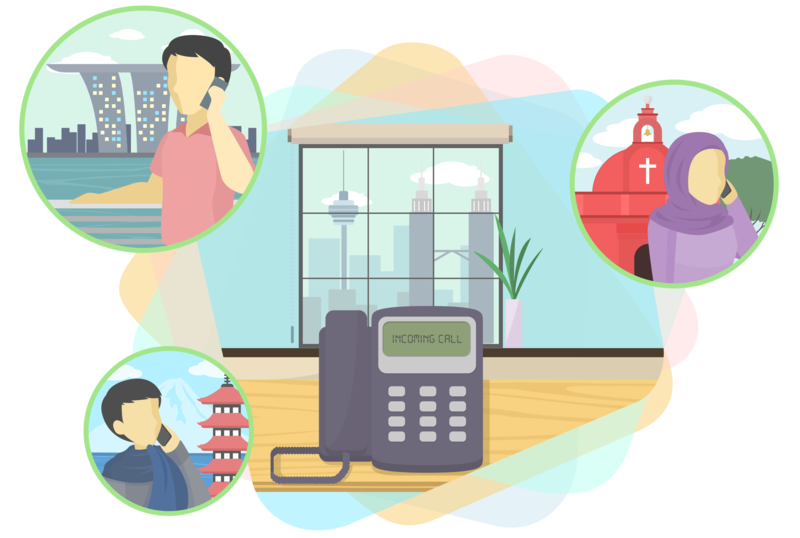 If you have an office in Malaysia or are thinking of setting one up there, you now have better telecommunication options to choose from. In addition, our fax service also supports sending online fax to Malaysian numbers. Even if you don’t have a physical space in Malaysia, companies should also consider providing phone support if a sizeable portion of your customers reside there. The truth is, there are so many online scams that people don’t always know if they can trust the companies they are buying from. Having a telephone number that customers can reach easily will help establish trust and confidence. At the same time, if you have a local hotline instead of an international number, you avoid turning away your Malaysian customers with expensive IDD charges. There is absolutely no need to invest in any hardware because calls can be forwarded to your mobile using the Direct Line app. Last but not least, now that we have an office in Malaysia, we are able to extend more payment options to Malaysian customers. Apart from online methods, companies can opt for payment by cheque as well as by bank transfer. Furthermore, since payments are made in ringgit, no inflation or monetary policies can affect the amount you pay. We are now offering a 30-Day free trial to Malaysian users. Click on the link below to get it! Note: Malaysia registered account users can subscribe numbers directly from the user portal. For non-Malaysia registered account users, you can email us at sales@hoiio.com. Just like the 015 numbers, documents need to be provided to facilitate the purchase of the 03 and 032 numbers. Click here for more details.